Uncomfortable temperatures can seem all that much worse when you're behind the wheel. But maintaining a functional and efficient Air Conditioning or heating system in your vehicle doesn't have to be a difficult endeavor. At Exit5 Auto, we offer reliable and cost-effective auto AC/Heat repair services. From coolant flush services to a complete overhaul, we have the skills and equipment to getting your climate control system working properly again. Treat Yourself to a comfortable ride - Call today: (518) 541-5000. Whether you use your car on a daily basis or for the occasional road trip, you deserve to be comfortable when on the road. At Exit5 Auto, our trained mechanics have the skill and knowledge to get your car's AC and heating system working properly. From newer cars to older, used vehicles, we can make temperature control a snap.With convenient hours and reasonable rates, Exit5 Auto is the place to go when you need reliable auto AC and heat repair work. Call or visit our Latham, NY service facility today. Don't Suffer With Poor Air Conditioning - Life is too short! Car AC and heating systems have components that require attention to avoid drying out and cracking. Your climate control system also needs regular check-ups. Let the Exit5 Auto service pros ensure that your car AC or car heater to keep you comfortable at any temperature. Can't I fix my own AC/Heat with off the shelf products? 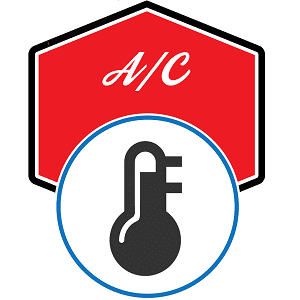 Auto AC/Heat repair is one segment of the car repair industry that has many 'off the shelf remedies'. In most cases, AC issues are the result of extremely small leaks that are difficult to pinpoint. Simply recharging the system is only a short-term solution. If the leaks aren't fixed, the problems will recur. Even if you are able to detect and repair a leak, in reality, something small may still be lurking. Then the air conditioning stops working six months down the road. The service pros at Exit5 Auto have the equipment and experience to identify and repair even the smallest leaks. We also pressure test your system so that when we are done your AC and heating system is fixed for good.